Homepage » AFRICA: Beijing, new model for air pollution control? In 20 years Beijing, the Chinese capital has made remarkable progress in reducing air pollution. With a 12% reduction in particulate matter, between 2017 and 2018, the city now ranks 122nd out of the 3000 cities studied by Greenpeace. The report on its strategy was presented on the margins of the 4th UN Environment Assembly, from the 11th to the 15th of March 2019 in Kenya. The Beijing model is therefore presented as an example for the major African cities. The sun’s rays are gradually resurfacing in the sky of Beijing. The apocalyptic atmosphere in the Chinese capital (with a peak of 900 micrograms of particles per cubic metre of air in 2012 compared to the 25 micrograms per cubic metre recommended by WHO…) has improved considerably over the past 20 years. This corresponds to the duration of the air pollution control programme in Beijing. A programme, the report of which was presented to the authorities responsible for cities in developing countries, particularly in Africa. During the 4th UN Environment Assembly, which was held from March 11 to 15 2019 in Kenya. The report, entitled “Twenty Years of Air Pollution Control in Beijing”, was prepared by a team of international and Chinese experts led by UN Environment. It covers the period from 1998 to the end of 2017. The programme is based, among other things, on measures to control coal-fired boilers, provide cleaner domestic fuels, industrial restructuring and the reduction of private cars in favour of low-emission public transport. “Beijing has made impressive improvements in air quality in a short period of time. This is a good example of how large cities in a developing country can reconcile environmental protection and economic growth,” said Dechen Tsering, Director of the UN Environment Asia-Pacific Regional Office. The report does not insist on the acceleration of the Olympic Games hosted by Beijing in 2008, but shortly before that date progress was not rapid. It was really from that date that the authorities imposed an intensification in the fight against air pollution, which would have accelerated further in 2017 and 2018. Dakar, the second most polluted city in the world…. Dakar, the capital of Senegal, seems to symbolise polluted Africa, and could play the role Beijing played in Asia, at the height of the years when the latter was suffocating under pollution. In recent years, air quality in Dakar has become a very worrying issue, with monstrous pollution peaks due to dust and emissions from transport. A nightmare for asthmatics, who have to confine themselves and take treatments in order to breathe properly. 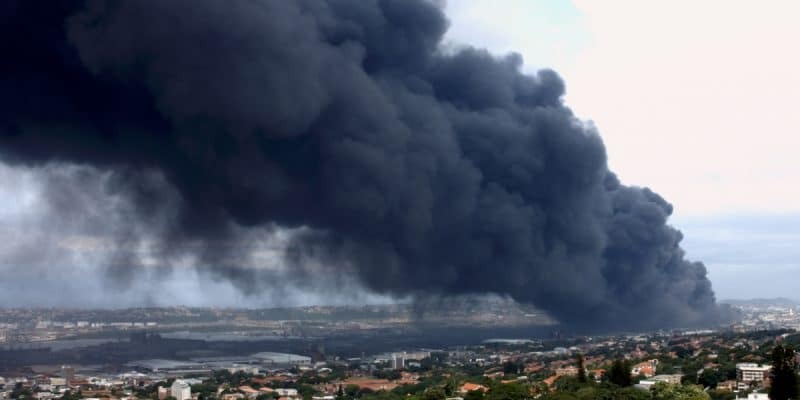 The Senegalese capital concentrates many factors that degrade air quality, making it “the second most polluted city” in the world, according to a study published in May 2018 by the World Health Organization (WHO).